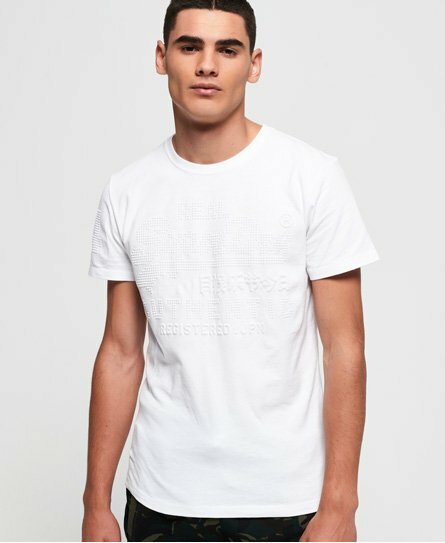 Superdry men's Vintage authentic embossed t-shirt. Keep it casual with this crew neck short sleeve tee, featuring an embossed textured Superdry logo on the chest, a textured number logo on the sleeve and a crew neckline. Team this tee with your favourite joggers for a cosy off-duty outfit, or pair with jeans and boots for a stylish everyday look.